As Childhood Cancer Awareness Month winds to a close, United Patients Group presents a call-to-action for regulatory change and improvement in treatment options for children. Childhood Cancer Awareness Month is an important time for people across the nation to acknowledge the tens of thousands of young patients diagnosed each year with some form of cancer. 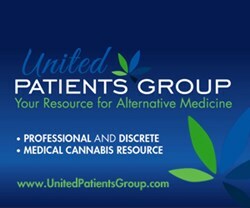 United Patients Group extends this awareness with an ongoing initiative to fight for those trying to survive. Finding treatments that work is a subject that Malanca is all too familiar with – and is the very basis for founding United Patients Group. It’s also a subject that has not improved in over 30 years. According to a press release from the Congressional Childhood Cancer Caucus issued last week, progress in developing the first new pediatric cancer treatments in three decades has finally begun. To put that into perspective, there were 120 new cancer therapies approved between 1948 and 2003. Only 30 have any use in children and there have been no new pediatric treatments introduced since the 1970's. Cannabis has been shown to reduce pain, increase appetite, fight tumors and provide an overall higher quality of life in patients with cancer – even patients as young as two years of age. The prime example of this is Cash Hyde, the Montana toddler who battled back from crippling brain tumors using the cannabis oil his father put in his feeding tube. Cash passed away after new Montana regulations made it impossible for Mike to 'legally' attain the amount of cannabis oil necessary to battle the cancer. For a disease that has been called the number one killer of children nationwide, there has been little focus on finding new treatment options and much focus on keeping proven methods out of the hands of those that need them. United Patients Group plans to keep the spotlight on pediatric cancer for the rest of 2013 and beyond. 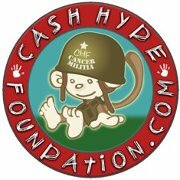 To help United Patients Group and the Cash Hyde Foundation fight childhood cancer, visit http://www.unitedpatientsgroup.com/foundation-profile/detail/cash-hyde-foundation.